My kids are big muffin eaters on school days. I'm always looking for new recipes for them! Very pretty card. love the 'hot pink'... who doesn't like muffins! Any time of day for me. 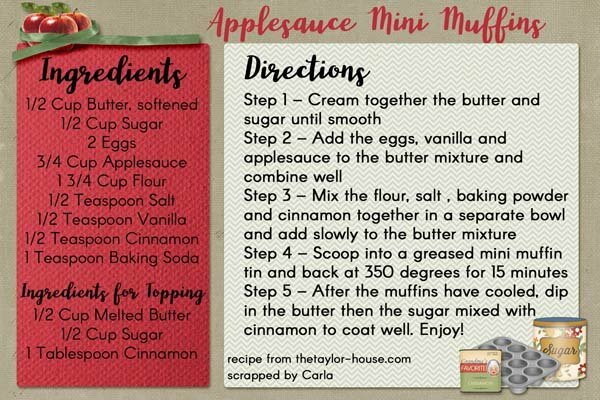 These muffins sound easy to make and yummy too! I like your cluster and red-apple card!